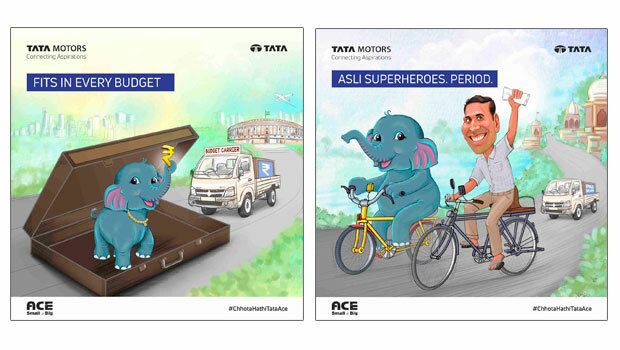 Tata Ace, a small commercial vehicle from Tata Motors, has launched a digital campaign featuring its mascot ‘Chhota Hathi’, highlighting the big events of the last quarter. In a cluttered world where everyone is talking about products, features and brand; moment marketing helps gain mind-space to capitalise and drive product advantage. Budget 2018, PadMan and the Facebook Data scandal are all innovatively woven to highlight the Tata Ace brand promise. The communication draws linkages to the category of commercial vehicles, which is otherwise considered to be a boring one. In a classic case of real-time marketing, it has used the big moments concerning Indians, the brand aimed at effective storytelling on digital with its mascot ‘Chhota Hathi’. Playing on its brand attributes of trust and reliability, Tata Ace on this journey has created original creative content pieces relevant to the brand, which are universally appealing, catchy and quite unforgettable (you have to smile at least once!) by extracting the moment and spicing it with humorous twist. Released on Facebook, Twitter and Instagram, each content piece captures both brand essence and moment in a succinct delightful self-explanatory snapshot.